hi, i am in love~ with dong bang shin ki. 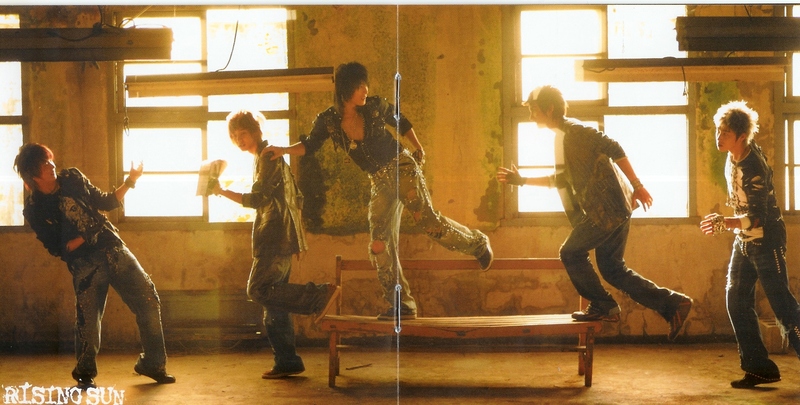 anyway, i scanned this myself from my rising sun album, this is the next two pages [pg 9 & 10] of the booklet inside featuring DBSK members, playing tag i think. i will upload more from the booklet. hahaha they're so cute. i especially like u-know in this. They 're beautiful and handsome and awesome singers ?